Nex Computer based in San Francisco, California has once again taken to Kickstarter to launch their second generation smartphone laptop in the form of the aptly named NexDock 2. If you are not familiar with the NexDock, the keyboard and screen combination allows you to use your smartphone as a laptop or even a Raspberry Pi mini PC as a portable workstation. Watch the demonstration video below to learn more about their latest system which is now available to back via Kickstarter with super early bird pledges available from just $179 or roughly £136. 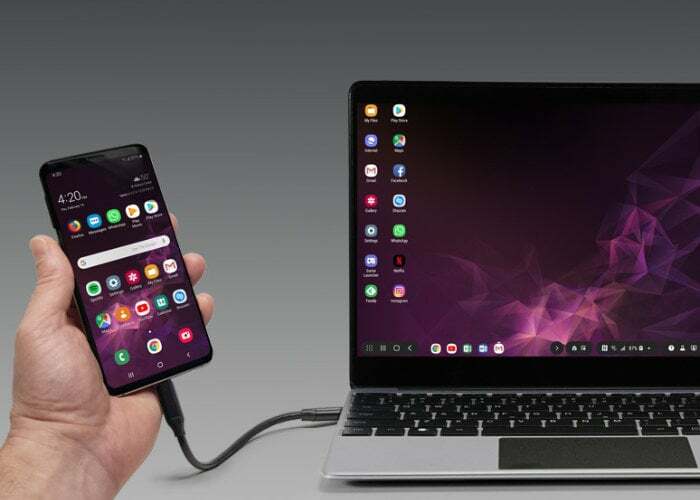 Using the desktop smartphone on Samsung and Huawei smartphones, as of March 2019, NexDock compatible Samsung smartphones include Galaxy S8/ S8+/ S8 Active, S9/ S9+, Note 8 / Note 9 and the new S10e/ S10/ S10+ and Huawei Mate 10/ 10 Pro, Mate 20/ 20 Pro/ 20 X, P20/ P20 Pro and Honor Note 10.